WHY HAVEN'T I READ THIS SOONER?! 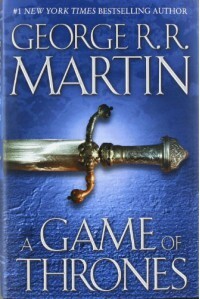 If you'd asked me earlier this year about my thoughts on A Game of Thrones, I would have told you it's boring; however, my thoughts, opinions, and feelings are entirely different now since I pushed myself to finish this. Worth it.